Editor’s Note: The first job listing on this post is no longer available. To help you start your job hunt, we found three companies that are looking to hire customer service representatives to work from home. 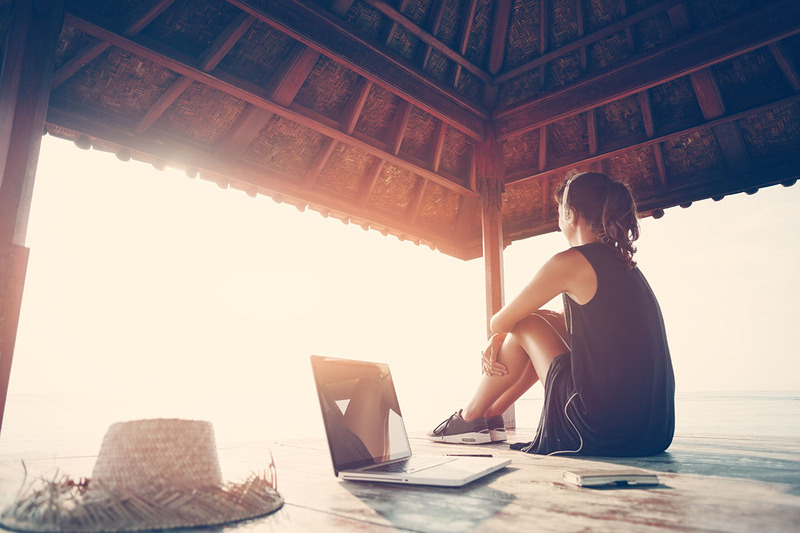 Check out these three work-from-home opportunities — one of them might be just right for you! TINT is a platform that helps businesses identify and utilize user-generated content marketing across all channels. As a Customer Success Representative, you’ll support customers with basic product education and account management via live chat, phone, email and social media. You’ll also troubleshoot and resolve customer issues ranging from password resets to product issues. You should be available to work between the hours of 9 a.m. and 6 p.m. EST with occasional evenings and weekends as business demands. You should have at least one year of customer service experience, along with experience working with a support ticket system. Experience with CRM, Zendesk and Salesforce is helpful, too. You should be detailed and responsive and have excellent communication skills. Bonus points if you have an interest in social media and marketing, have a basic knowledge of HTML and CSS and experience supporting remote teams. This position is full-time, and you’ll receive a salary between $42,000 – $62,000. You’ll also receive a personal development stipend, health, dental and vision insurance, a 401(k) plan, flexible vacation days and team bonuses, along with a few other pretty awesome perks. As a Customer Service Agent, you’ll field customer queries and direct them to the proper service specialists, respond to inbound calls and handle product orders and credit inquiries. You should have a high school diploma or GED equivalent and upwards of one year of experience in a customer service role, although a bachelor’s degree, either completed or in process, is preferred. You should live within a “reasonable distance” of Ecolab’s facility in Naperville, Illinois, as you will be required to attend an in-person interview and training session. While Ecolab is looking for both full-time and part-time agents, be aware that you may be asked to work up to 40 hours per week. The position pays $14 per hour. You’ll also receive medical and dental benefits. Remote Year sends freelancers, entrepreneurs and professionals on year-long work-travel experiences through 12 cities around the world. As a full-time Employee Support Representative, you’ll manage the customer support email account, generate and follow up with monthly invoices and support employees through the financial onboarding and expense reporting processes. You should have a bachelor’s degree in a related field or equivalent, relevant experience. You should be proficient in Microsoft Excel and have experience with FreshDesk or another similar support ticketing system. We’ve reached out to the company to inquire about benefits and pay, and we’ll update this post when we hear back. If you’re interested in hearing about even more work-from-home jobs, be sure to like our Jobs page on Facebook. We post new jobs there all the time.